The Charcoal Supply Company has helped to make BBQ events throughout interior Alaska successful by sponsoring the events or sponsoring teams to compete in those events. 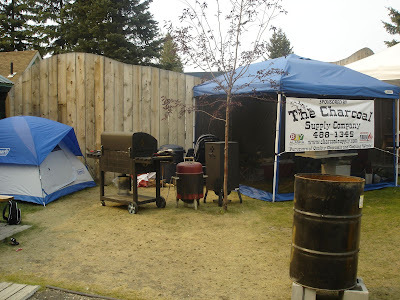 The Charcoal Supply Company has provided support to the Alaska BBQ Association and the State BBQ Championship since 2008 and has been a primary sponsor of "3 Dogs BBQ" the Alaska BBQ Association Team of the Year since 2007. We have also Sponsored New BBQ Competitors to help them enter the sport of Competition BBQ. First Cook of the New Year!! The Latest News from the 3 Dogs BBQ Team!